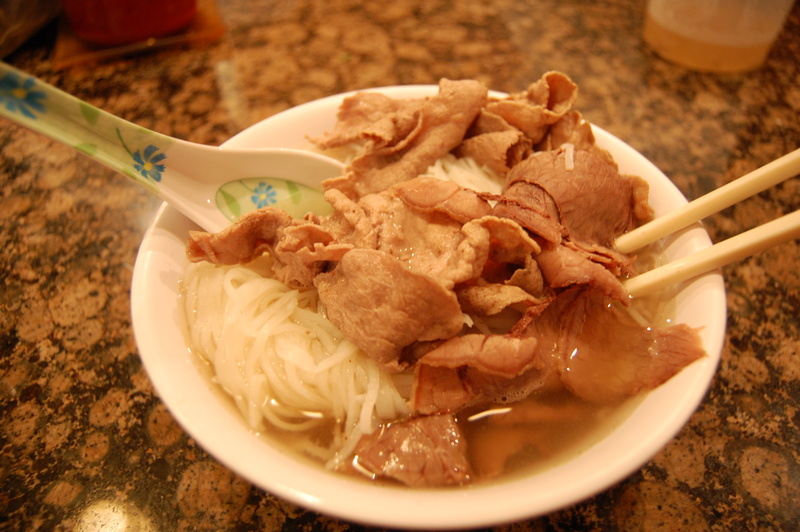 Many many years ago my family used to get pho at least once a month after church on Sundays. Where did we always go? Pho 75 in Rosslyn. What did I used to order? A Wendy’s hamburger and fries. One day I was given a small bowl of pho just “to try”. What happened? I ended up picking up the bowl to slurp up the rest of the contents, which is very poor pho etiquette and will get you chided by your Vietnamese mama. Later on we moved to the Falls Church location which was slightly closer to home. Living in Ashburn I don’t frequent Pho 75 as often nowadays but it still has a very special place in my heart. Recently I got pho to go and the broth was slightly watered down and didn’t pack the same punch. I’m just hoping that it was an off day. 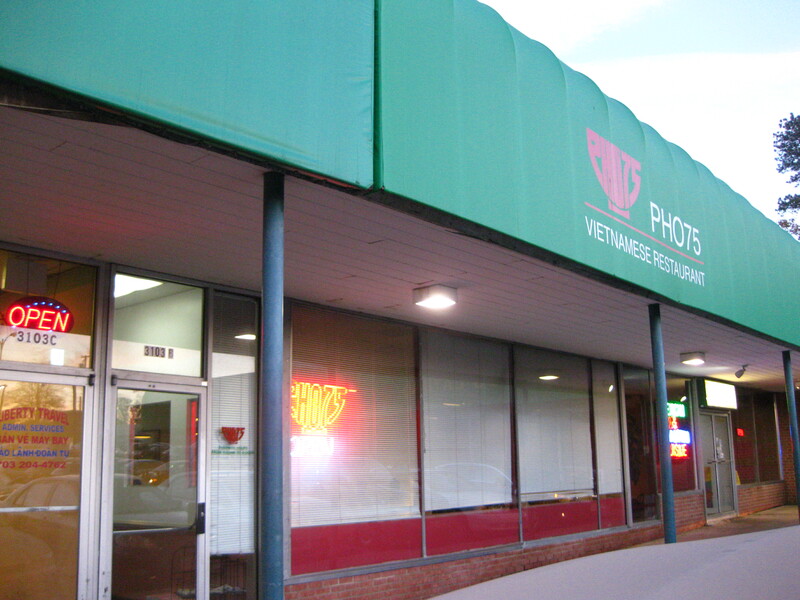 If you’re in the DC area hit up this pho mecca. Oh, and make sure you get a big enough bowl to hold your meal. My bowl was a little overstuffed.